Copyright: Photographers retain the copyright of any entered photos and grant the Galapagos Conservation Trust (a) a non-exclusive, worldwide, irrevocable, royalty-free license to reproduce, distribute, and publicly display the photographs you submit to the Galapagos Conservation Trust, for use for promotion. If you have been lucky enough to visit the Enchanted Isles and have managed to capture some of the Archipelago’s stunning natural beauty through the lens, enter this competition. 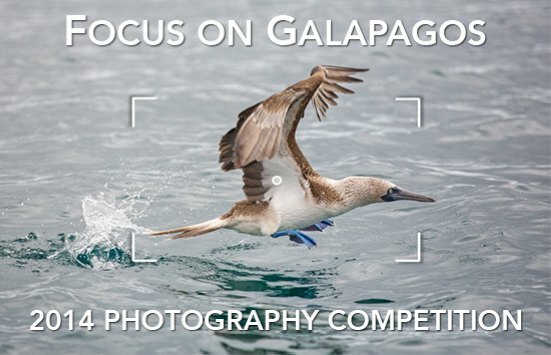 The overall winner of the competition will receive a signed, 1st edition of Henry Nicholls’ new book The Galapagos: A Natural History and the winning image will appear in the 2015 GCT calendar. The winner of each category in the competition will receive a copy of GCT’s 2015 calendar and the winning images, as well as the runner-up images for each category, will appear on GCT’s website. Entrants may submit a maximum of five images. Judging criteria: originality, composition, clarity, technical excellence, overall impact, and artistic merit. Image requirements: from 2 MB to 5 MB in file size and over 1600 pixels on the shortest edge; minimum resolution of 300 dpi.